LOBITAS: Idade do Porquês ??????? 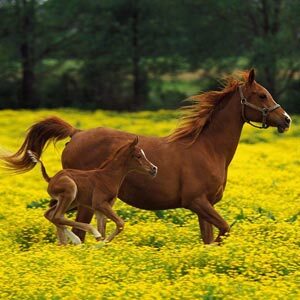 "- Mãe como é que os cavalos andam, como é que fazem para andar com quatro patas ao mesmo tempo"
Depois de uma explicação ficou então a promessa de que iriamos ver um cavalo para observarmos em particular a sua marcha. yet effective. A lot of times it's hard to get that "perfect balance" between usability and visual appearance. I must say that you've done a amazing job with this. Additionally, the blog loads very fast for me on Chrome. Outstanding Blog! I every time spent my half an hour to read this blog's content all the time along with a cup of coffee. I like the helpful info you supply on your articles. I'll bookmark your weblog and take a look at once more right here regularly. I am quite sure I'll learn many new stuff proper here! time I am browsing this web page and reading very informative articles or reviews here. I'm more than happy to find this site. I need to to thank you for your time just for this wonderful read!! I definitely appreciated every part of it and I have you saved as a favorite to see new stuff in your web site. Hi there! I'm at work surfing around your blog from my new iphone! Just wanted to say I love reading through your blog and look forward to all your posts! Keep up the excellent work! it might not be a taboo matter but usually people don't discuss such subjects. To the next! Kind regards!! Very good info. Lucky me I found your blog by accident (stumbleupon). delighted to share my experience here with mates. Hi, I check your new stuff like every week. Hi there to all, it's actually a nice for me to pay a visit this site, it contains valuable Information. I've been browsing online more than 4 hours today, yet I never found any interesting article like yours. It is pretty worth enough for me. In my opinion, if all site owners and bloggers made good content as you did, the internet will be much more useful than ever before. will be back to read more, Please do keep up the fantastic work. Thаnks for one's marvelous posting! I really enjoyed reading it, you might be a great author.I will remember to bookmark your blog and will often come back someday. I want to encourage you to ultimately continue your great work, have a nice holiday weekend! is just spectacular and i can assume you are an expert on this subject. Well with your permission let me to grab your feed to keep up to date with forthcoming post. It's going to be ending of mine day, however before ending I am reading this wonderful piece of writing to improve my experience. had a difficult time clearing my mind in getting my thoughts out there. out how to begin. Any ideas or tips? Thank you! this web page, and your views are nice designed for new people. It's truly very complicated in this busy life to listen news on Television, therefore I just use world wide web for that reason, and take the latest news. It's an remarkable article designed for all the internet people; they will take advantage from it I am sure. wonderful submit, very informative. I ponder why the other experts of this sector do not realize this. You should continue your writing. I'm confident, you've a great readers' base already! Thanks for ones marvelous posting! I quite enjoyed reading it, you will be a great author. will come back later in life. I want to encourage you to ultimately continue your great posts, have a nice evening! Hi to every , because I am truly eager of reading this website's post to be updated regularly. It contains pleasant information. no backup. Do you have any methods to protect against hackers? who has shared this great article at at this place. (I also love the theme/design), I don't have time to browse it all at the moment but I have book-marked it and also added in your RSS feeds, so when I have time I will be back to read a lot more, Please do keep up the superb job. and that is also happening with this piece of writing which I am reading now. At this time it looks like Drupal is the preferred blogging platform out there right now. like to follow anything new you have to post. May be that's you! Having a look ahead to peer you. be back to read a great deal more, Please do keep up the superb b.
I will be back to read a great deal more, Please do keep up the superb b. Thank you for another informative blog. Where else may I get that kind of information written in such an ideal means? I have a challenge that I am simply now working on, and I have been on the look out for such information. the early hours in the dawn, as i like to learn more and more. account your weblog posts. Anyway I'll be subscribing for your augment or even I success you get admission to consistently quickly. website could undeniably be one of the best in its field. I rarely leave responses, but i did some searching and wound up here "Idade do Porqu�s ???????". And I actually do have a few questions for you if it's allright. Could it be simply me or does it appear like a few of these comments look like they are left by brain dead folks? :-P And, if you are posting at other sites, I would like to keep up with anything fresh you have to post. Would you list of every one of all your community pages like your twitter feed, Facebook page or linkedin profile? web, however I know I am getting know-how everyday by reading such good content. however this webpage offers quality based posts. could assume you're an expert on this subject. Fine with your permission let me to grab your RSS feed to keep updated with forthcoming post. Thanks a million and please keep up the enjoyable work. topic of from this article. related topic, your website came up, it appears to be like good. Hi there, just became alert to your weblog via Google, and found that it is really informative. First off I would like to say terrific blog! had a hard time clearing my mind in getting my thoughts out there. Nice post. I was checking constantly this weblog and I'm inspired! Extremely useful info specifically the remaining section :) I handle such information a lot. I used to be looking for this certain information for a long time. Thank you and best of luck. Keep up the very good works guys I've added you guys to our blogroll. you could be giving us something enlightening to read? Way cool! Some very valid points! I appreciate you writing this article and the rest of the site is extremely good. It's an awesome piece of writing for all the internet viewers; they will obtain advantage from it I am sure. this site is in fact wonderful. It's a pity you don't have a donate button! I'd without a doubt donate to this excellent blog! I guess for now i'll settle for bookmarking and adding your RSS feed to my Google account. First off I would like to say superb blog! I had a quick question in which I'd like to ask if you don't mind. I have had trouble clearing my mind in getting my thoughts out. to figure out how to begin. Any ideas or tips? Thank you! What's up, this weekend is pleasant in favor of me, for the reason that this time i am reading this wonderful educational piece of writing here at my residence. understanding something completely, except this piece of writing offers nice understanding even. a enormous source of information. I'm starting a blog soon but have no coding knowledge so I wanted to get guidance from someone with experience. Any help would be enormously appreciated! Your article has truly peaked my interest. in for your Feed too. you've performed a fantastic process on this topic! i could think you are a professional in this subject. Fine together with your permission allow me to grasp your feed to keep updated with approaching post. Thank you one million and please continue the gratifying work. because i love to learn more and more. the rest of the site is also very good. I seldom comment, however i did some searching and wound up here "Idade do Porqu�s ???????". it's allright. Is it simply me or does it look like a few of the responses come across as if they are coming from brain dead visitors? :-P And, if you are writing on additional social sites, I would like to keep up with anything fresh you have to post. Would you make a list of every one of your shared pages like your twitter feed, Facebook page or linkedin profile? Wow, fantastic weblog structure! How lengthy have you ever been blogging for? website is excellent, let alone the content material! Hmm it appears like your website ate my first comment (it was extremely long) so I guess I'll just sum it up what I had written and say, I'm thoroughly enjoying your blog. I too am an aspiring blog blogger but I'm still new to the whole thing. Do you have any tips for beginner blog writers? I'd certainly appreciate it. suppose you're a professional on this subject. Well together with your permission allow me to grasp your RSS feed to keep up to date with imminent post. Thank you a million and please continue the rewarding work. I every time spent my half an hour to read this blog's posts all the time along with a cup of coffee. Thanks for finally writing about > "Idade do Porqu�s ???????" < Liked it! write-up very compelled me to check out and do it! and I find it very bothersome to inform the reality however I will surely come back again. of spam responses? If so how do you reduce it, any plugin or anything you can recommend? I've incorporated you guys to blogroll. I don't know whether it's just me or if everybody else experiencing problems with your website. i do it please help out.